We think the first step is motivating yourself to revise. What are you trying to achieve here? What’s your ultimate goal? Make a schedule for your revision and be realistic about it. Figure out how much time you can spend on a task each day. The important part of exam preparation and the key to success, as the more you revise these notes. These revision notes are prepared by our finest and experienced teachers. 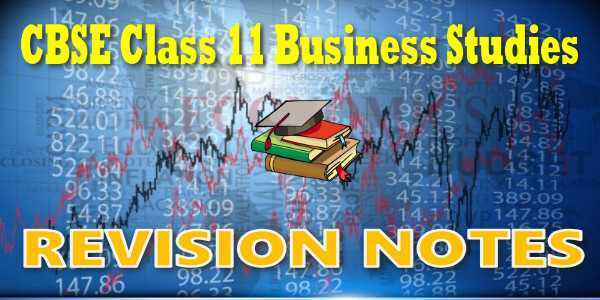 You can download class 11 Business Studies Revision Notes in PDF format. These Revision Notes are also available in the myCBSEguide website and mobile app for free. Download CBSE Revision Notes for CBSE Class 11 Business Studies Nature and Purpose of Business Business -Concept includes meaning and features. Business, profession and employment-Concept, Objectives of business, Classification of business activities - Industry and Commerce, Industry-types, Commerce-trade, Business risk-Concept. Download CBSE Revision Notes for CBSE Class 11 Business Studies Forms of Business Organisations Sole Proprietorship, Partnership, registration of a partnership firm, partnership deed. Types of partners, Hindu Undivided Family Business, Cooperative Societies, Company-Concept, Formation of company-stages, Choice of form of business organization. Download CBSE Revision Notes for CBSE Class 11 Business Studies Public Private and Global Enterprises Public sector and private sector enterprises, Forms of public sector enterprises: Departmental Undertakings, Statutory Corporations and Government Company, Changing role of public sector enterprises, Global enterprises, Joint ventures, Public private partnership. Download CBSE Revision Notes for CBSE Class 11 Business Studies Business Services Banking, Banking services with particular reference to issue of bank draft, banker?s cheque (pay order), Real Time Gross Settlement (RTGS), National electronic Funds Transfer (NEFT), bank overdraft, cash credit and e-banking, Insurance, Postal and telecom services. Download CBSE Revision Notes for CBSE Class 11 Business Studies Emerging Modes of Business E-business-scope and benefits, resources required for successful e-business implementation, online transaction, payment mechanism, security and safety of business transactions, Outsourcing- Business process Outsourcing (BPO) and Knowledge Process Outsourcing (KPO), Smart cards and ATM?s meaning and utility. 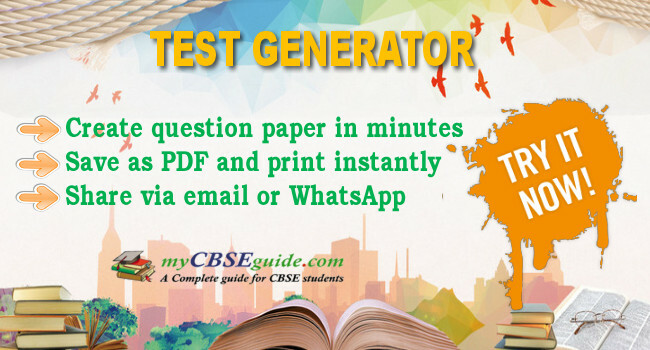 Download CBSE Revision Notes for CBSE Class 11 Business Studies Sources of Business Finance Concept of business finance, Owners? funds- equity shares, preferences, share, Global Depository receipt (GDR), American Depository Receipt (ADR), International Depository Receipt (IDR) and retained earnings, Borrowed funds. Download CBSE Revision Notes for CBSE Class 11 Business Studies Small Business Small scale enterprise as defined by MSMED Act 2006, Role of small business in India with special reference to rural areas, Government schemes and agencies for small scale industries and District Industrial Centre (DIC) with special reference to rural, backward and hilly areas. Download CBSE Revision Notes for CBSE Class 11 Business Studies Internal Trade Services rendered by a wholesaler and a retailer, Types of retail-trade-Itinerant and small scale fixed shops, Large scale retailers-Departmental stores, chain stores, mail order business. Concept of automatic vending machine, Chambers of Commerce and Industry, Main documents used in internal trade, Terms of Trade. Download CBSE Revision Notes for CBSE Class 11 Business Studies International Business Meaning, difference between internal trade and external trade, International trade, Export trade, Import Trade, Documents involved in International Trade, World Trade Organization (WTO). CBSE class-11 Key points and summary of the lessons are given under this section for Chem, Phy, Maths, Bio, Acc, Business study, Eco and other subjects. 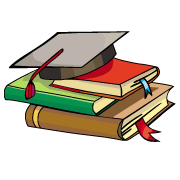 They include all concepts given in NCERT books and syllabus issued by CBSE for class-11. Key notes are 'to the point' capsules for quick revision of the chapter. We have covered the whole syllabus in these notes.